Station not stated, September-October 1862. Station not stated, July 11, 1862. Stationed at Haynesville, July 14-August 31, 1862. Stationed at Morristown, Tennessee, September-December 1862. Stationed at Greeneville, Tennessee, January-February 1863. Stationed at Zollicoffer, Tennessee, March-April 1863. Stationed at Cumberland Gap, May-June 1863. Station not stated, July 10, 1862. Stationed at Lick Creek Bridge, July 12-October 31, 1862. Stationed at Lick Creek, November-December 1862. Station not stated, January-February 1863. Stationed at Lick Creek Bridge, March-April 1863. Station not stated, July 12, 1862. Station not stated, July 14-August 31, 1862. Stationed at Greeneville, January-February 1863. Stationed at Jossin's Depot, July 14-August 31, 1862. Station not stated, September 1862-February 1863. Stationed at Zollicoffer, March-April 1863. Station not stated, July 14, 1862. Stationed at Camp Carter, September-October 1862. Stationed at Carter's Depot, Tennessee, November-December 1862. Station not stated, [May 1] -June 30, 1863. Station not stated, not dated. Stationed at Zollicoffer, Tennessee, July 14-October 31, 1862. Stationed at Camp Maury near Greeneville, Tennessee, [November 1, 1862] -February 28, 1863. December 13.– This company was captured on the Holston River by a detachment [of] 1,400 Federals and held as prisoners of war until March 1863. Therefore it being impractical to muster it sooner, the muster was made this day by special order of Brigadier-General [Alfred Eugene] Jackson and was made to include the following four months viz. : November, December, January, and February. Stationed at Cumberland Gap, Kentucky, May-June 1863. The men who are marked absent sick since April 20 were captured by [Samuel Powhatan] Carter and were unable to return when the company returned to duty. They are under medical treatment for the diseases specified, mostly chronic cases of long standing, better suited for discharge than service. Station not stated, June 30-December 31, 1863. Stationed at Lick Creek, Tennessee, July 14-October 31, 1862. Station not stated, November-December 1862. Stationed at Lick Creek, Tennessee, January-April 1863. Stationed at Carter's Depot, September-December 1862. Stationed at Greeneville, Tennessee, March-April 1863. Stationed at Zollicoffer, Tennessee, July 19-August 31, 1862. Stationed at Morristown, Tennessee, September-October 1862. The company was ordered from Zollicoffer to Morristown, Tennessee. Stationed at Limestone, Tennessee, November 1862-February 1863. Stationed at Limestone Depot, Tennessee, March-April 1863. Stationed at Marshall, North Carolina, June 30-December 31, 1863. September 9.– The captain, W. J. Wilson, and two lieutenants ([I. P.] Long and [P. G.] Murray) were captured together with the majority of the company at Cumberland Gap. Nearly all the officers of the Sixty-second were captured, hence so many from other companies mustered on this roll for pay. Station not stated, July 14-October 31, 1862. Stationed at Greeneville, Tennessee, November-December 1862. Stationed at Bristol, Tennessee, March-April 1863. Stationed at Asheville, North Carolina, June 30-December 31, 1863. September 9.– A great portion of this company became prisoners of war by the surrender of Cumberland Gap. In late December 1862, while guarding bridges and railroads in East Tennessee, three poorly armed companies (295 soldiers) of the 62nd North Carolina Regiment were captured by a Union cavalry force of 3,000. 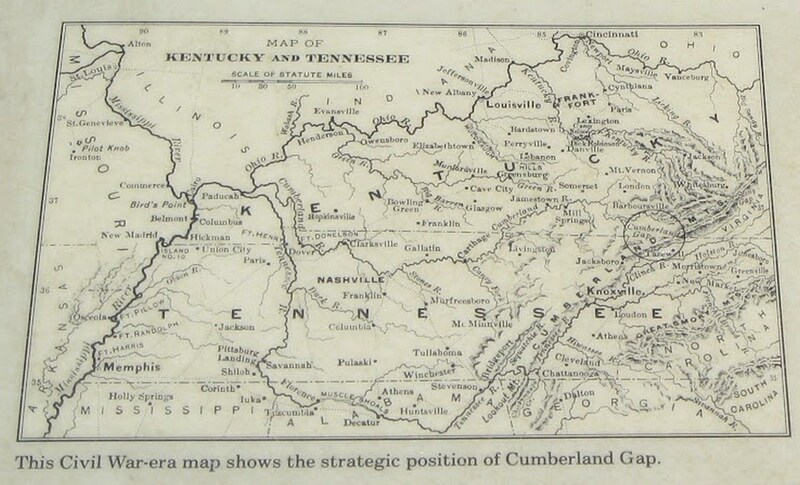 The 62nd continued to serve in East Tennessee until 442 men of its men were surrendered to Union forces in the Cumberland Gap on September 9, 1863, by General Frazer, who many consider a coward for not fighting nor trying to evade capture, but as many as 200 soldiers from the 62nd evaded capture and in April 1864, the unit mustered 178 men in Asheville. The bulk of the fighting at the Battle of Asheville, April 6, 1865, was shouldered by 175 of the unit's faithful warriors. As the Confederate and Union forces exchanged volleys for five hours, Col. Clayton, commanding 62nd, local militia, soldiers on leave and others recovering from wounds and illnesses, and a battery with two Napoleons, was eye witness to Kirby's Union brigade retreating toward Tennessee. Lee surrendered to Grant just 3 days later on April 9, thus sealing the Confederacy's fate. A record of any unit's events may be difficult to compile, because many Confederate records were intentionally destroyed as the war neared its conclusion. For example, not a single source survived the war to corroborate the total number of Confederate casualties, so best estimates have always been used. The histories for Southern units were usually recorded by the unit historian, but because the soldiers were ordered to burn their respective unit's records, lest the United States use them as evidence for possible treason charges, the primary source for the Confederate unit is drawn from memoirs written some 35 years after the war. From a single soldier's memoirs -- often written after 1900 -- is the primary source for most Rebel regiments. Memoirs are problematic at best, because the soldier was prone to forget important dates and actions which occurred so long ago. While embellishment and omission of facts were common, as with all memoirs, the old warrior generally had physical and emotional scars, too, so not all acts of commission and omission should be viewed under the light of judgment, but perhaps with empathy. The record of events was basically a diary with entry dates, recording unit location, any action that occurred, company transfers, as well as other material information. A regiment's record of events, or sketch as many refer to it, sometimes offers battle casualty totals, but since it often lacks accurate numbers it should not be used a reliable source. Casualty reports for a battle were far from static, because weeks and even months after a single engagement, soldiers who were initially recorded as wounded, may have had their names moved into the mortally wounded category. Missing in action after battle reports was at crisis proportions, because many of the soldiers were captured and moved to prison camps, while others had in fact deserted. As a general rule by the 1880s, the most quoted Civil War statisticians Fox, Dyer, and Phisterer, all agreed that the remaining missing in action soldiers should be considered killed in action, which meant tens-of-thousands of soldiers, but since best estimates have been applied to the total Confederate casualties, killed in action merely increased the estimated total number. Copyright © 1998-99 Jackson County Genealogical Society, Inc.